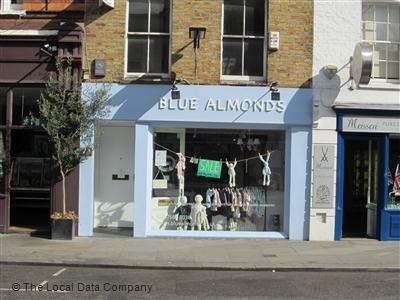 At Blue Almonds they offer a new concept for children's furniture, fabrics, wallpapers, rugs, toys, gifts and much more where parents can create a dream nursery for their little ones. They believe in making sure that all their customers receive products that are high quality, with every piece of furniture made from solid wood. Each piece can be painted individually with over 2,000 shades to choose from to ensure that every piece is bespoke. A look at some of the adorable furniture at Blue Almonds. 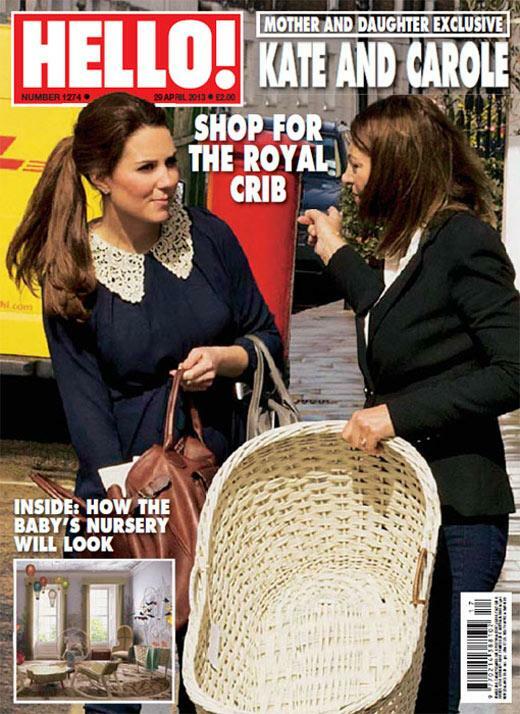 The Duchess also spent a considerable amount of times in Peter Jones browsing for a buggy and a car seat. Kate has a talent for looking casual yet chic when out shopping and this look was no exception. The Duchess wore her hair up and elected to wear a navy top with a white peter pan collar and blue jeans. Kate carried her Tod's 'D-Styling' bag. 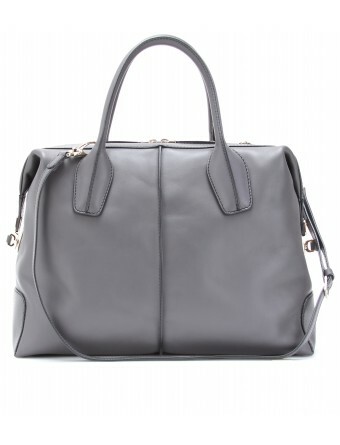 The bag is actually named after the late Princess Diana and available in an array of colours at Nordstrom. It's an incredibly exciting time for Kate and in just three months she will be giving birth to her first child. an unforgettable event for anyone. No doubt Carole is looking forward to meeting her first grandchild and enjoying the preparations with her daughter. 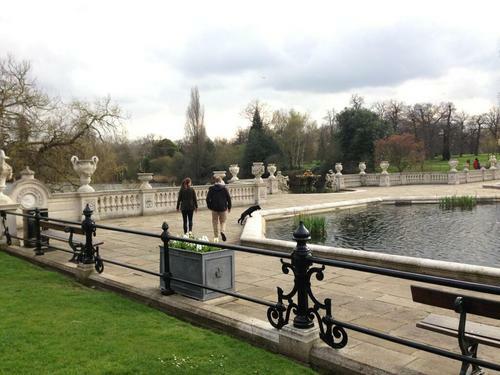 Today Kate was spotted walking Lupo in the Italian Gardens accompanied by a royal protection officer. Kate is regularly seen walking her dog around Kensington and wore her Barbour jacket and jeans with her hair swept back in a pony tail. The Daily Mail is reporting Kate plans to move in with her parents after Baby Cambridge is born. In a break with tradition the Duchess reportedly does not plan to hire a maternity house instead, she will live with her parents for at least six weeks. 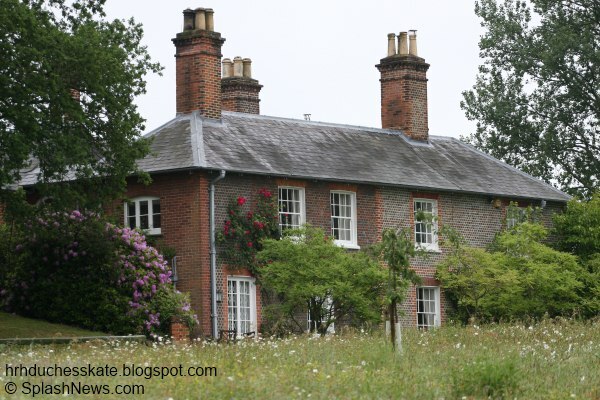 Michael and Carole Middleton recently bought a Georgian manor house in Berkshire with plenty of room for their first grandchild. 'Kate says 'she just feels safest and most secure' with her family and believes that no one could be better place to teach her about bringing up a baby than her mother, who has three children of her own. She will particularly need her advice and moral support when Prince William returns to work as a helicopter pilot after taking his paternity leave. Sources have confirmed that William and Kate's plans to move into a new apartment at Kensington Palace in time for the birth have hit a stumbling block following the discovery of asbestos. St James's Palace responded to the story saying it's too early to say what will happen. Thank you also for more on the news re: Kate moving in with her parents following Baby Cambridge's birth. It'll be interesting to see how much truth there is to this story. Wow you are good. Another great post. I don't believe for one minute that the Duchess & William will move in with her parents once their baby is born. How on earth are these two beautiufl parents going to start the bonding process if they are living with her parents. William is very capable of taking care of his Duchess once their baby is born. They both want to be hands on parents so the best way is to start from the minute their baby is born. They are making it sound like they will not have a home to bring the baby home to. Well that is not true. They have their cottage that they can bring the baby home to. Thanks again Ms. Charlotte for this great blog. Now we all wait until sunday when we will get to see our beautiful Duchess and her baby bump. Kate looks wonderful ! in the E! video, now we are really seeing little (William) ha ha. Well I'm sure everyone will pipe in about her staying with her mom . I sure wish I had lived closer to my mom when my first was born. I was scared to death and would have loved to have her with us during that time. Granted its not forever. Charlotte -great post, love getting Saturday's post late Friday while I am waiting for PBS show called 'William & Kate - The Future. Um...I agree with Sarah from Calif. about both sides of staying with parents or not. ...Giving birth to a future King must make one's head spin. I wish the 3 of them much health and happiness. I have a tough time with the Daily Mail story on a couple of counts. First, they're currently living in Nott Cott, which is on the Kensington Palace grounds and, as such, has all the security etc. already in place. Nott Cott is five bedrooms so conceivably there's plenty of room there at least temporarily until 1A is ready to go and even room for Carole Middleton to stay with Kate if she is choosing to have her mother with her. I can't imagine what the cost would be to outfit the Middletons' new mansion with the appropriate security measures needed to accommodate Kate and the baby for an extended period of time. I also struggle believing that, given the elaborate precautions that were taken with Kate's health in the early days of her pregnancy, with she and William staying at Kensington to be near her doctors, that they're going to now take a newborn baby - and a baby who will be third in line to the throne - more than an hour away from London and from the baby's (and Kate's) doctors and medical care. I also have to wonder how well Kate really is adjusting to her royal life if, indeed, this story turns out to be true. I, also, was very surprised to read that Kate and the new baby, future King or Queen, might live with her parents after the birth. I agree with your points. As far as I have read (Crawfie's biography: The Queen's nanny lived at Nott Cott and it is a very small cottage.) So although it might have 2 bedrooms, I can't believe it is big enough, and at present they have no larger proper home (I mentioned this point a while ago to Charlotte). So going to live with her parents seems a brilliant solution. Charlotte you are brilliant as usual. There is nothing new in a royal mother-to -be going home to her parents--Queen Elizabeth the Queen Mother--then the Duchess of York and in the same position as Catherine, viz wife of the 2nd in line to the throne, went home to Mum with both her daughters. I imagine what happens depends on what the Duke is doing at the time. We will just have to wait and see if its true. Lobe your blog. And where does the new daddy fit in to all this. Al you hear is that the Duchess is moving in with her parents. Remember the baby has a daddy too. The parents need the first 6 to 8 weeks to start the bonding process. And it is a very special tiem fo rthe mommy & daddy. I've always read that Nott Cott has two bedrooms, and not five. And Jean makes a very good point about people not knowing everything royals did generations ago. It's nobody's business, quite frankly. I'm sure that William and Kate are making decisions together as they have all along. Suggesting that William will be kept out of the piture for some reason is unwarranted, IMO. I'm sure he will be with Kate and the baby just as much in the Middleton home as he would at KP. I would not think that they could have much privacy living with her parents. Let's face it they are a young couple who just had a new baby and all they want to do is bond with their child. IMO if William is taking a leave once the baby is born then let them be my themselves while he is on leave. Then when he returns to work then she can go stay with her parents. But we still do not know what William's plans for the future are. I still have mixed feelings about candids, just because I feel sorry that she can't shop without having someone take her photo. But I'm so happy to finally have a good look at her stomach! I was wondering if she was ever going to 'pop'! She looks very adorable and healthy. I'm interested to see what the next few months will bring with Will's job decision and their living arrangements. No doubt they will make the best decision for themselves and the baby, no matter what others think! Thank you for the great post Charlotte, I'm looking forward to keeping up with your blog this upcoming very busy royal week! Charlotte, thanks for the cheery update! I love seeing the sweet things from Blue Almonds. So adorable! I will ohh and aww over all the wonderful things Kate is picking out. After 4 kiddos, I am blessed, but done. :) This is such a sweet and exciting time for her and her heart and life will be blessed beyond measure once the little one arrives. So glad she can relax and share these fun moments with her mom! Happy shopping, Kate!!! Wherever she and the baby take up residence after the birth, you know both she and William will make the best decision for their family. So many decisions and life-changing things coming up. Such a busy, but exciting time! In the meantime, I can't wait to see how beautiful Kate will look tomorrow! Enjoy your Saturday! Thank you so much for your kind words! Your reply made my day! I will say I have much to learn and experience, but am grateful for each day given and treasure it as a gift from above! I have to agree that the site is addictive! Charlotte does a fabulous job keeping everything up while going to school and living her life. I know we are all VERY appreciative! I love the variety of people to chat with. Our world is filled with so many fun and interesting people and I am thankful to experience just a very tiny part of that on this blog. Hope to see you post more often! Hope you are having a wonderful Sunday!!! I could not see the video. Something about it being private. What time does today's appearance start, girls ? I know I will catch some flack for this but I am going to put it out there. I did anyone noticed in the pictures of the Duchess shopping with her mom that she did not have on her engagement ring and I could not notice if she had on the wedding bad. Maybe they are getting to tight now. And all this crap about her going to live with her parents after the baby is born. I don't believe a word of it. But "if" it is true they are making it sound like William will not be there. How in the heck is he suppose to bond with his baby if he is not with his wife & their baby. This is a very special time for husband & wife when they first bring home their baby. William & his Duchess are no different. This is a big time in thier marriage and William is very capable of taking care of his wife once she has the baby. If he is still with the RAF and need's to return to base then yes she should stay with her family but nobody but William & his Duchess knows what his plan's are. And I don't think the Duchess would be telling her friends what their plans are. We have to remember that they are very private couple. And what about the security for her & the baby. All this talk just seems to me that William is being pushed away from his family. Again if all this is true. Pauline, I'm not sure what to think of the story about Kate staying with her family. If it's true that they will not be able to move into KP just yet, then I suppose it's possible. But I don't think it implies that William is being pushed away. I'm sure he will be there as much as his schedule allows. This may just be an ideal way for Kate to have some help with the baby early on (who better than your own mother) without bringing a stranger (nanny) into the picture. I read where they found asbestos in their new KP apartment. I believe this delay changed their plans. When her parents bought their new house I believe they got permission to make modification for security. I think W & K will stay there until the apartment is ready since security is in place. The photo agency involved is being *very* vigilant about Blogs/Tumblr/Facebook not posting them. I assume William's contract with the RAF expires in September, he will have paternity leave but after that he goes back to work til Sept. Various newspapers have reported that if he quits before his contract is up he would owe the RAF. So until September they are in limbo. Seems logical that Kate would want to be with her mom for the first few weeks of motherhood. What is a maternity house? I have never heard that saying before. But I am in the US and I know we do things differently here. Also, how long do dad's get for paternity leave in the UK? As far as i understand it, The Middleton's were going to move in to KP with W & K, after the Baby arrived for a few weeks, or as long as Kate needed them. However, due to the Asbestos problem that was found there, W & K have decided to move in with The Middleton's for the first few weeks, until the Apartment at KP was ready for them, and safe to move into once all the Asbestos is gone, repairs have been completed, and the refurbishing is done. I'm sure they all will be quite safe as they have round the clock security, as well as security systems at the Middleton's new Mansion. They also have plenty of room. I'm also quite sure that Baby Cambridge will have a Nursery at every home he or she resides in. Incidentally, I think Kate is having a Baby Boy, as she is carrying her Pregnancy all out in front. Kate looks fabulous, healthy, and confident. It's nice that she can go shopping with her Mum, even if pictures have been taken of them doing so. I love seeing little snippets, via photos, of what they're up to. Thank You Charlotte for the wonderful work you do on these posts. I love reading them and look forward to them. You are such a dedicated person!